Apple cider vinegar has long been touted as a cure-all for anything from arthritis and asthma to ulcers and urinary tract infections. Most benefits are anecdotal at best, but a little apple cider vinegar now and then shouldn't hurt. Too much, however, can sometimes cause problems. The acid in apple cider vinegar can pose problems for your throat and teeth, while other components can adversely affect your blood sugar and potassium levels. As with any form of complementary or alternative medicine, talk to your doctor before taking apple cider vinegar to treat a medical condition. According to nutritionist Katherine Zeratsky, throat irritation is the most likely side effect of too much apple cider vinegar, particularly from prolonged use. Apple cider vinegar is fairly acidic, largely due to the acetic acid – its main ingredient. Diluting the vinegar with water can help prevent aggravating the esophageal wall. Too much apple cider vinegar can erode tooth enamel. The acetic acid can damage the enamel on your teeth, making them more susceptible to tooth decay. Diluting the vinegar before use can help, but it's wise to talk to your dentist before you consume apple cider vinegar. 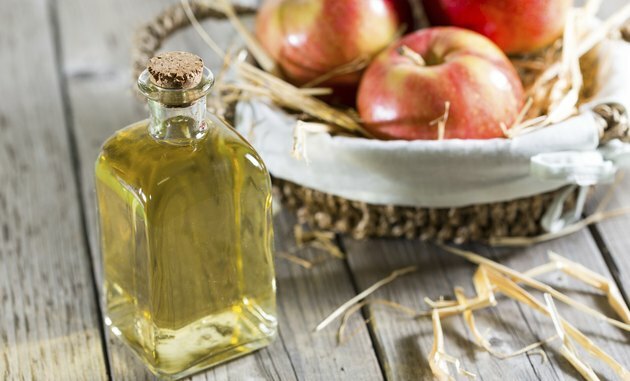 People taking certain medication – namely insulin and diuretics – should take care when drinking apple cider vinegar. Zeratsky warns that apple cider vinegar can adversely interact with your prescription and lead to low potassium levels. Low potassium, medically referred to as hypokalemia, can cause constipation, weakness, muscle cramps and even abnormal heart rhythms. The body uses potassium to maintain proper functioning of the nerves and muscles. Without it, problems occur. What Are the Negatives of Drinking Apple Cider Vinegar Every Day?